Amazon has picked up the recently cancelled The Expanse for a fourth season. Syfy cancelled the critically acclaimed sci-fi series earlier this month due to declining viewership numbers. Following the cancellation, producer Alcon Entertainment said it was shopping the show around to other networks. Amazon CEO Jeff Bezos made the announcement during last week’s International Space Development Conference in Los Angeles. Bezos, who is a big fan of the James S.A. Corey books the series is based on, confirmed at the event that The Expanse‘s next season will be available exclusively on Amazon Prime Video. 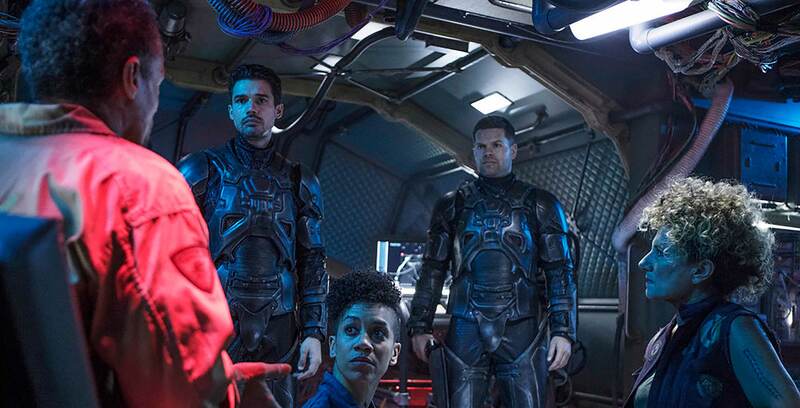 After The Expanse was cancelled, thousands of fans took to the internet to call for the series to be saved, posting on social media, signing petitions and even paying to fly a banner above Amazon Studios. The Expanse takes place two hundred years in the future in a colonized solar system. The series starts when the destruction of an ice-hauling spaceship causes political tensions between Earth, Mars and the belt. The third season of the series, which is still ongoing, will continue to air on Syfy.